It’s always interesting to look back at the previous years statistics in the Real Estate Market, but sometimes the information can be a little more difficult to understand than we want it to be. 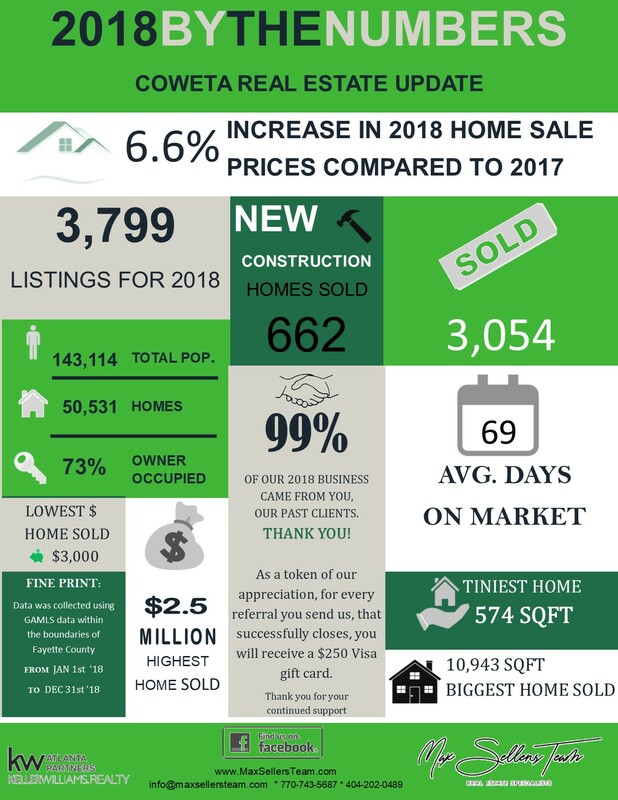 Max Sellers Team has put together an easy to read snapshot of the Coweta County Real Estate market for 2018. If you are thinking about Buying or Selling in 2019, please give us a call. We would welcome the chance to earn your business!